No one would consider getting a knee or hip replacement without an MRI or a CT Scans. Similarly, Pacific Dental & Implant Solutions uses 3D digital CT Scanning technology to treatment plan every Dental Implant case. 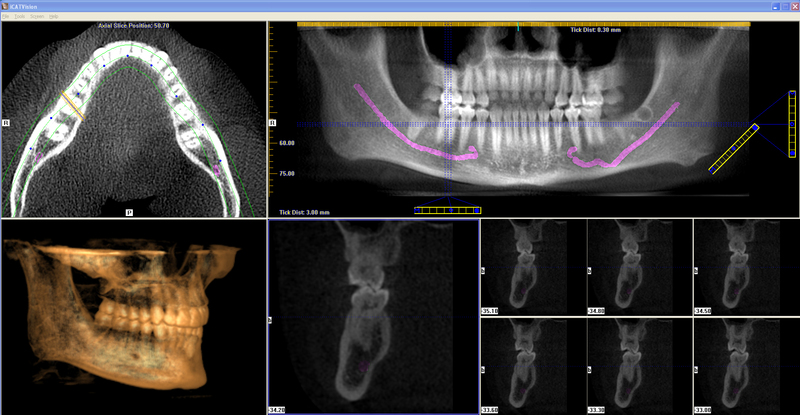 The 3D CT Scanning process allows Dr. Asam to better examine bone density and determine the correct treatment approach in each dental implant case. The CT Scan provides a detailed 3D image of the mouth and jaw that is much more detailed than traditional dental x-rays, and provides much better information for a higher standard of care. The Scanning process takes about 9 seconds while you sit comfortably and provides Dr. Asam three-dimensional and cross sectional views of existing teeth, bone, nerves, and tissue. I am very pleased with my most recent implant service provided by Dr. Jmi Asam. Her state of the art technology, personal caring services and professional skills have given me the most confident and comfort in this complicated dental procedure. I'm glad I made the decision to choose Dr. Asam and will also be glad to refer her to my friends. Dental procedures were done very efficiently & pain free. Dr. Asam called the day after the procedure to follow-up on any complications. There were no complications. Very pleased with Dr. Asam & staff.